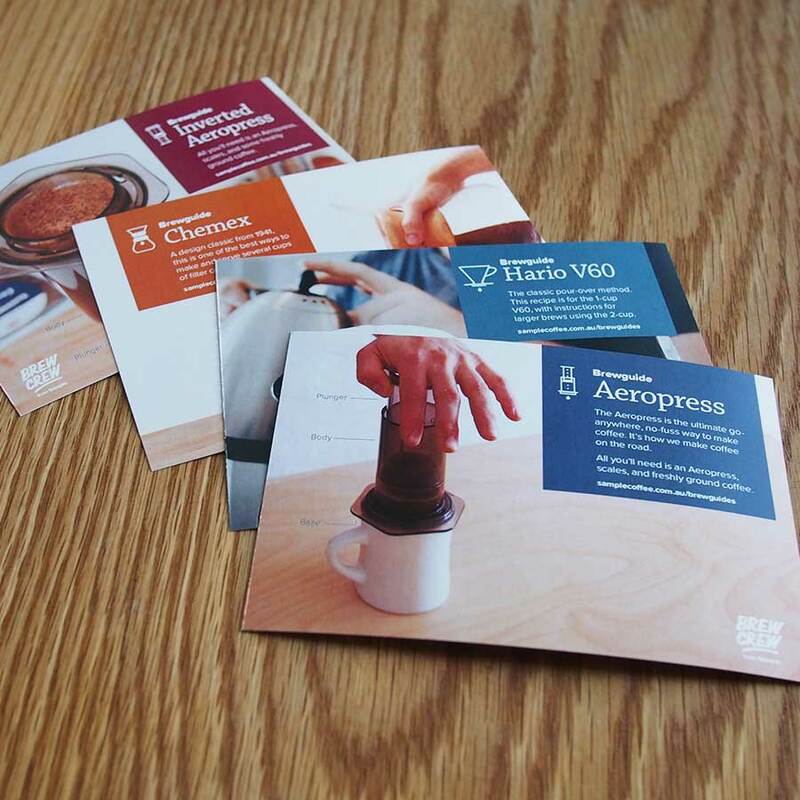 Our set of four step-by-step brewguide cards: Aeropress, Inverted Aeropress, Hario V60, Chemex, and cold brew. Also available in our cafes, these postcard-sized brewguides have step-by-step instructions on brewing with our favourite methods, and photos of each step. Included are condensed versions of our brewguides for Aeropress, Inverted Aeropress, Hario V60 brewer, Chemex, and , Cold brew coffee. We think everyone should feel confident brewing at home, so add a set of (free!) cards to your delivery to keep handy at home, or share with a friend.